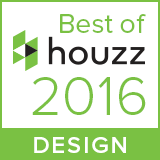 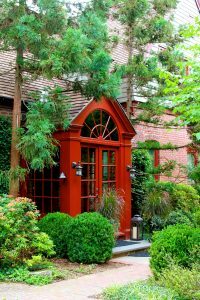 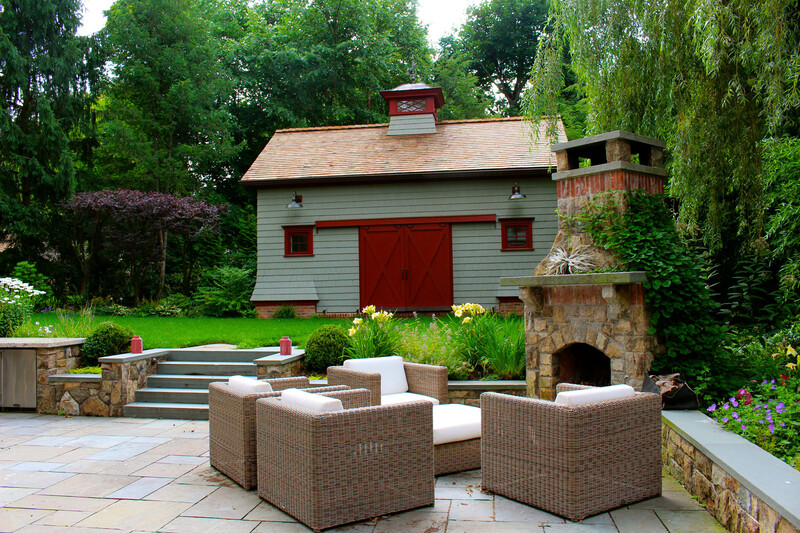 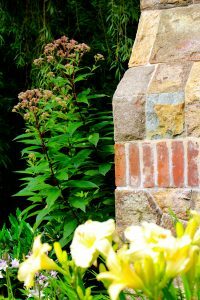 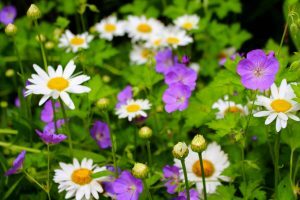 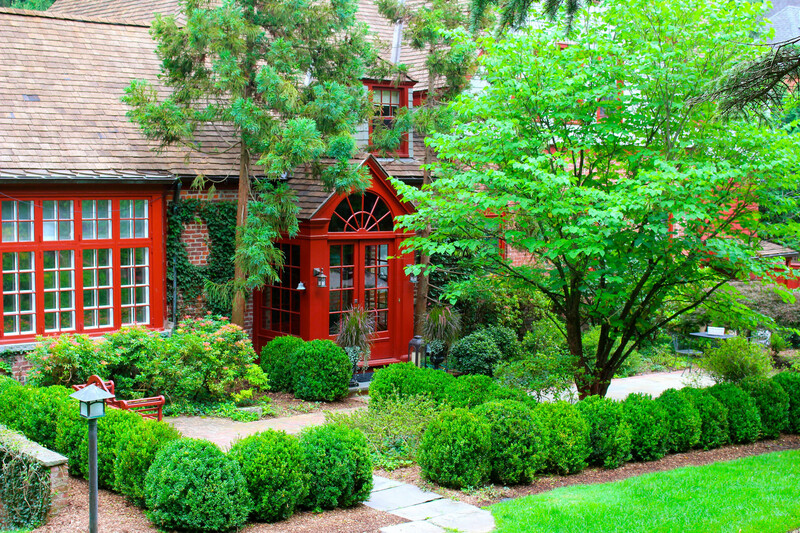 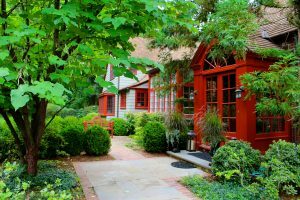 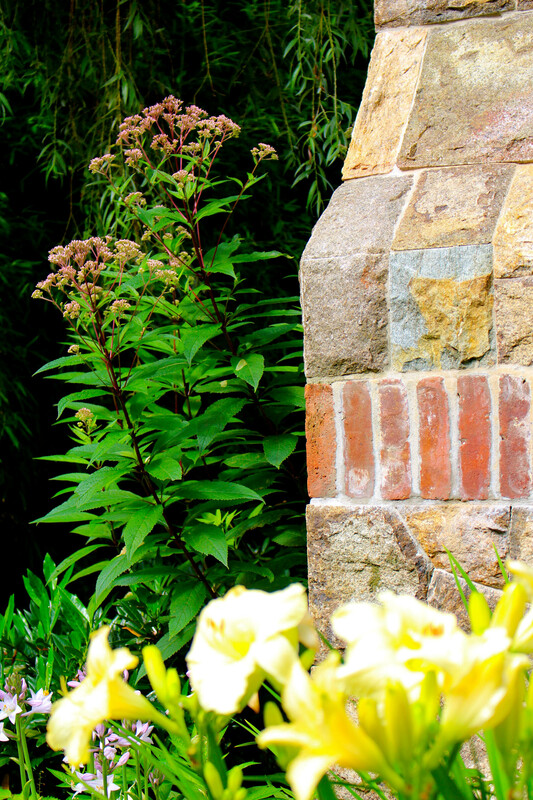 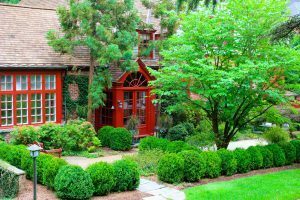 Historic District Charm - Deborah Cerbone Associates, Inc. 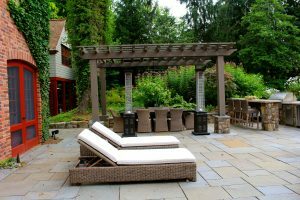 When the owners of this Short Hills home decided on an update, we were called to help them navigate the zoning and the site. 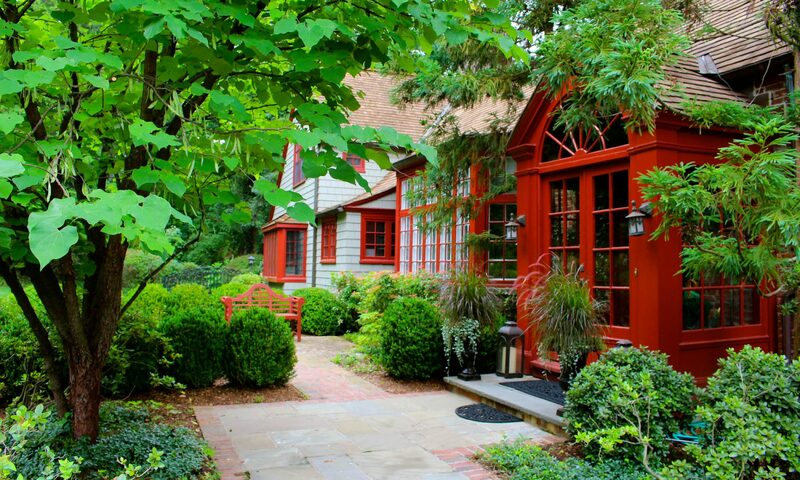 The home was originally a carriage house of a larger estate and had to adhere to stringent Historic District codes. 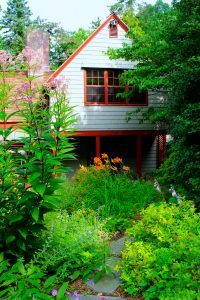 Building an addition on the main house would have blocked precious natural light. 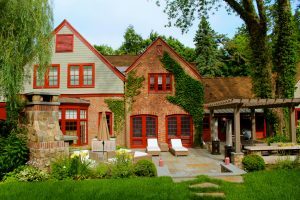 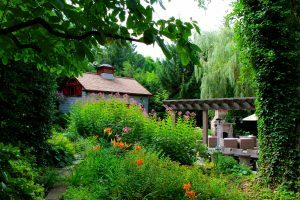 Instead, we obtained the necessary variances and permits for a separate rustic barn building that blends seamlessly with the historic feel of the neighborhood and houses their game rooms and a bar. 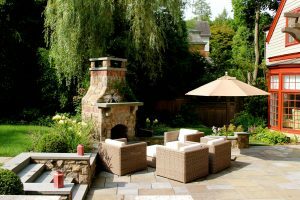 We carved the large patio into the slope with a stone retaining wall and stairs leading up to a level lawn area for play. 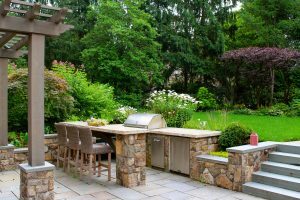 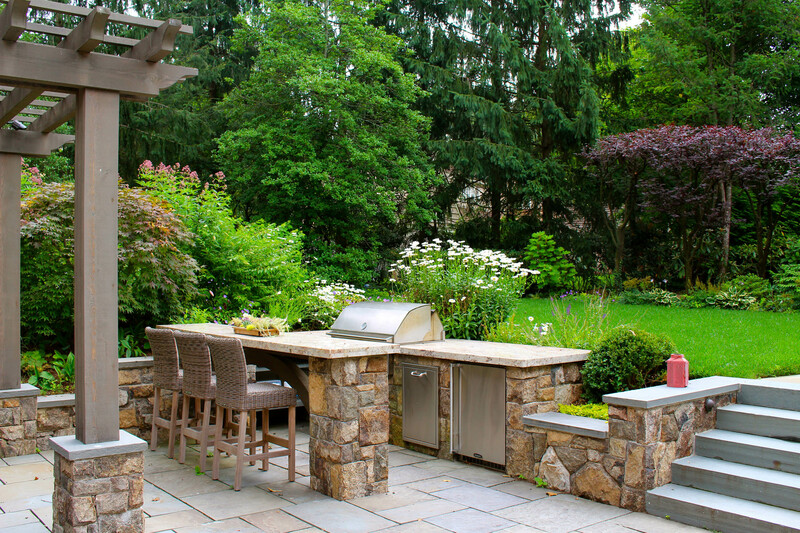 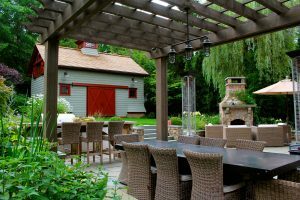 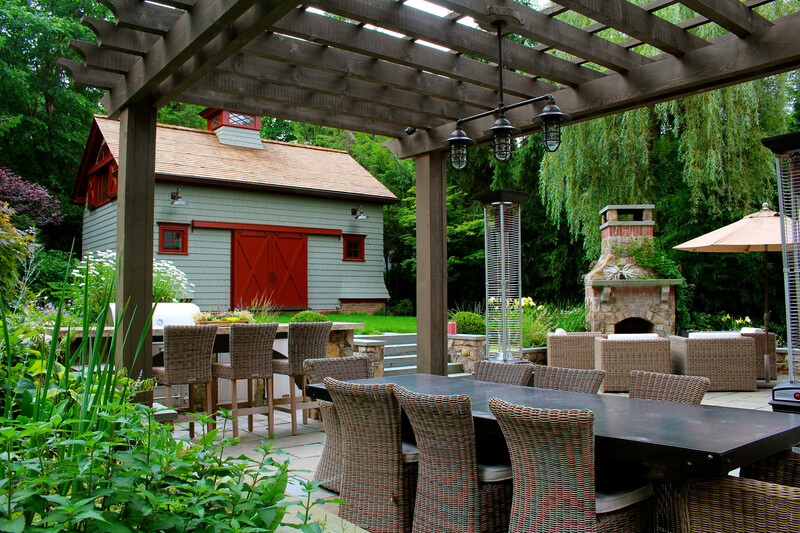 An outdoor kitchen with bar and storage, a pergola covered dining area, a living room area with fireplace and a space for chaise lounges complete the outdoor entertainment area. 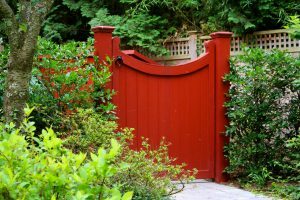 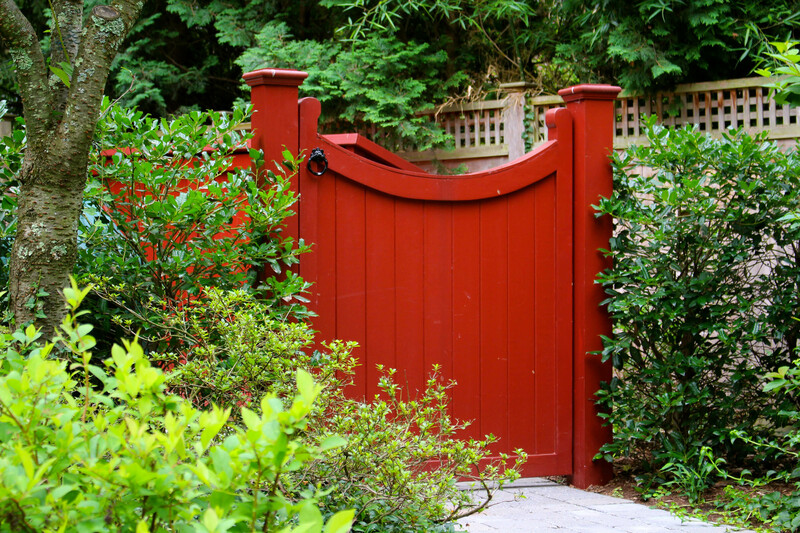 Red lacquered gates welcome guests into the new garden that is embellished with natural plantings to create “a random act of nature” garden style desired by the owners and equally enjoyed by many butterflies and birds.